C.A. 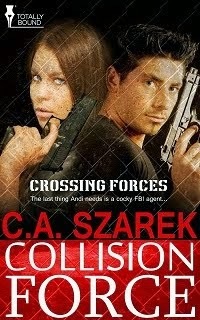 Szarek Author: Tell Me About it Tuesday WELCOMES Jeanette Vaughan! Tell Me About it Tuesday WELCOMES Jeanette Vaughan! Today I have a lovely author that I met at LexiCon last year, a local conference I attended with one of my besties. We had a BLAST and will defo go back this year! 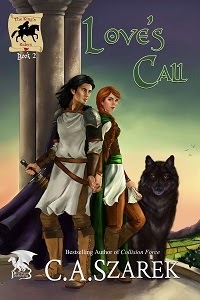 Jeanette Vaughan is an award winning writer and story teller. Not only is she published in the periodicals and professional journals of nursing, but also in the genre of fiction. Out on her sheep farm, she has written several novels and scripts. Her screenplay "Angel of Mercy" won the outstanding nursing research award from Texas Tech University Health Science Center. In addition, she was named Distinguished Alumni for the school of nursing in 2001 for her written work and volunteerism for the Sydney Olympic Games. 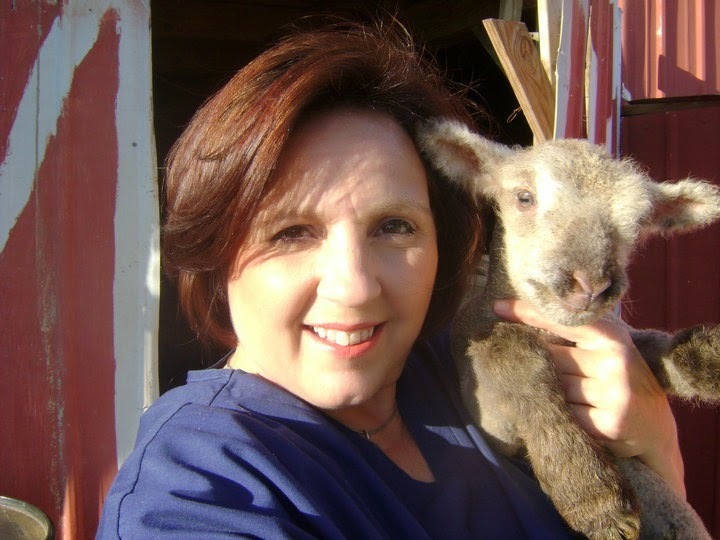 Jeanette has practiced nursing in the fields of critical care and trauma. She is the mother of four children, including two Navy pilots. She lives in a Victorian farmhouse out in the pastures of northeast Texas with her sheep, chickens, donkeys and sheep dogs. Q. How has your journey in publishing been? Anything you would or wouldn't do again? It took me until age 50 to give myself permission to write what it was that I wanted to write. I had been published in my healthcare field since age 21. But those articles and research were always about someone else’s agenda. Not the subjects about which I was passionate. Passion makes for great writing. Thank goodness for an academic Dean who asked me the most profound question? Jeanette, when are you going to give yourself the green light to write what you love. At age 50, I did exactly that. The result? Two award winning novels so far. More to come. Q. What made you pick your particular genre? As a baby boomer, I can totally relate to the 60s and 70s. They were special times of radical change in our nuclear middle class existence. Because of that, I adore that time period. Average people challenging the norm. The boomer generation definitely has me hooked! Q. What are you working on right now? Can you tell us about it? 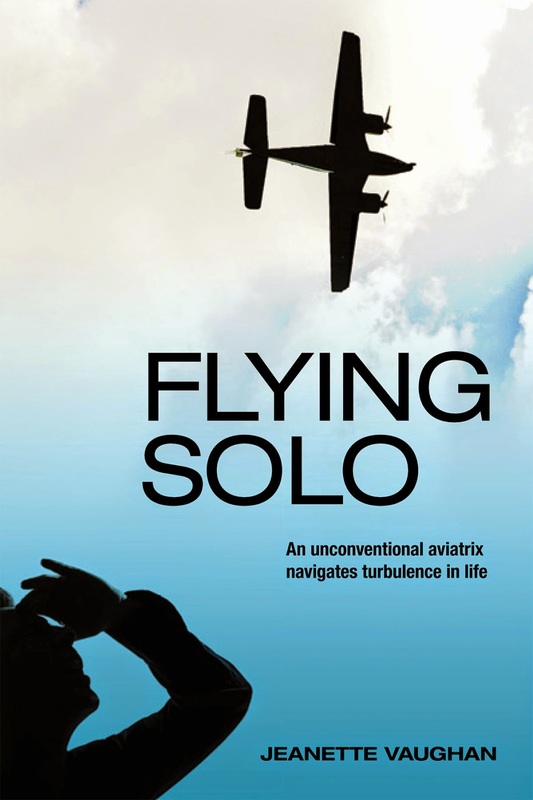 I am most proud to say that I have recently completed the manuscript for the finale to my “Flying Solo” trilogy. All the questions from the first two books are answered. 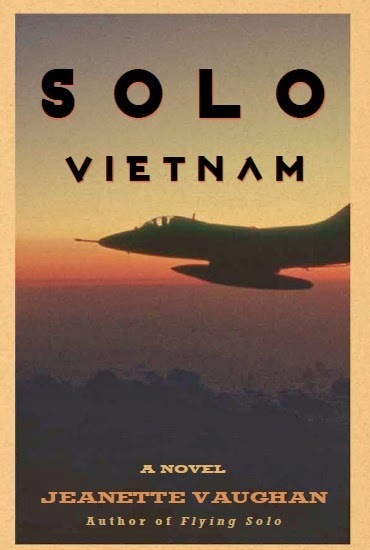 I am humbled to admit that the wife of the A-4 Skyhawk pilot whose writings helped shape SOLO VIETNAM was so enthralled with the books, that she has requested that I turn US MAC Captain Robert Lathrop’s manuscripts into a full length novel. I am honored to confirm that will be my fourth historical fiction. Q. Do you have a favorite story of the ones you’ve written, either published or not? Why? I was captivated by the stalwart courage of my protagonist. Although fiction, my works can be considered faction. I knew the strong willed woman about whom my stories are written. She was an amazing person – able to make difficult decisions that might not be the cultural norm. That to me is fascinating and honorable. I admire her courage and strength. Could you? Would you steal a plane to get your children back? She did. Just read FLYING SOLO. Okay...enough with the business questions! How about some fun stuff? Q. If you won the lottery, what is the FIRST thing you’d do? What would you buy and why? First I would buy a brand new wheelchair access van for my son Harrison…souped up just like he wants it. He is my road trip companion. But we need the wheels to do it. Then, I would pay off my farm house as to keep it in the family. Then…I would book tickets for an around the world trip. . .including my favorite places on earth…..Australia, Africa and Europe. They are all on my son’s bucket list. Q. When YOU read, what do you like to pick up? I love historical fiction set in the baby boomer years. It is called “Boomer Lit.” But I also like to read about Elizabethan England; the twenties; and any other autobiographical works of strong women who change their corner of the world. Scruples…anyone? Although I love the big city life of Dallas, I am a country girl at heart. I love feeding my chickens, watching a sunset from my gazebo, and seeing my sheep grazing out in the pasture. Ah…pure relaxation and heaven. Have you ever skinny dipped in a hot tub and there weren’t people around for miles? A French Cajun Aviatrix. An A-4 Skyhawk pilot. Vietnam. Nora Broussard dares to earn her wings gaining liberty. Despite the heroics, her heart remains unrequited and broken. When she finds out her star-crossed lover is now free, yet thousands of miles away from New Orleans flying bombing missions in Vietnam, nothing will keep her away. 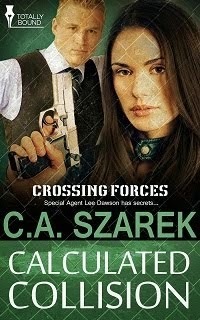 The U.S. government won’t let her fly combat in a war zone, so she uses her next best assets – her vamp and her voice. Traveling with Bob Hope as a torch singing USO girl, she is thrust into the perils of the 1968 Tet Offensive. As mortar attacks and napalm shake her to the core, she quickly realizes the short-sightedness of her decision to stay and manage a USO club. The shocking realities of a senseless war catapult her values into place. But is it too late? When Steve is shot down over Laos and listed MIA, Nora is forced to accept one of life’s greatest lessons. French Cajun Nora Broussard Greenwood was born with the wanderlust. Her adventurous spirit doesn’t fit the sedate expectations of catholic 1960s New Orleans suburbia. On a whim, she takes flying lessons to become a pilot. Experiencing the freedom of flight is liberating. However an illicit affair with her pilot instructor forces action. When she confronts her ruthless husband for a divorce, she is cast out sans her children and threatened with her life. 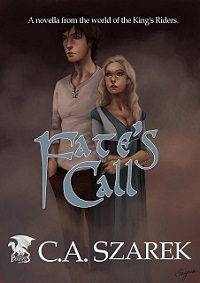 Desperate to get them back and gain liberty, she steals her husband’s plane. 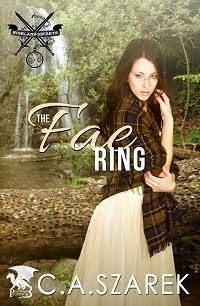 Trials and tribulations erupt as she navigates the turbulence her life has become. In a bizarre twist of fate, she serves as caregiver to her lover’s sickly wife as a means to survive; hoping he will decide she is his soul mate. But is that to be? 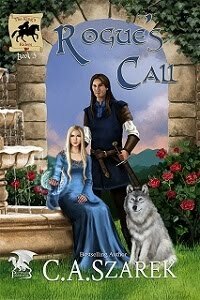 Nora must make the make the most difficult decision of her life in order to get things back on track. 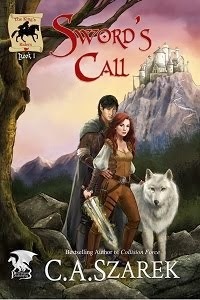 Highland Secrets Trilogy Book One! 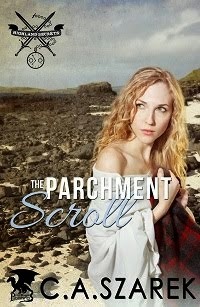 Highland Secrets Trilogy Book Two! 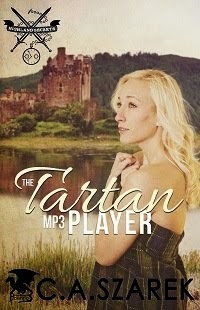 Highland Secrets Trilogy Book Three! You can become a fan here, too! 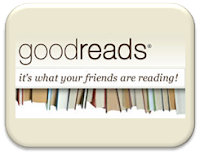 Share book reviews and ratings with C.A., and even join a book club on Goodreads. Tell Me About it Tuesday Welcomes EriK Clarke! C A. Szarek 2011. Awesome Inc. theme. Powered by Blogger.